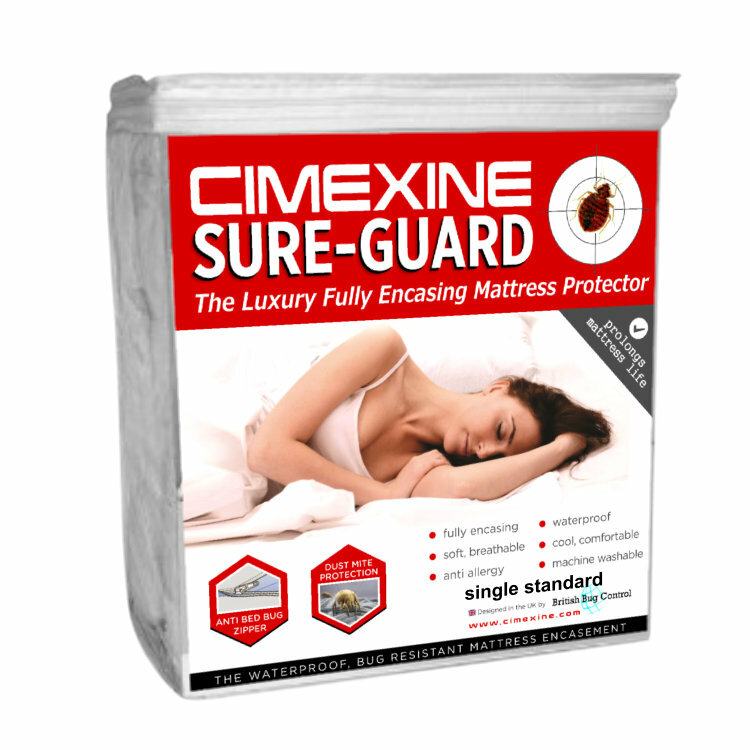 Silky soft, cool, breathable, bed bug proof and fully-waterproof Sure-Guard fully encasing LONG WIDE KING EXTRA DEEP mattress protector that keeps your mattress pristine. 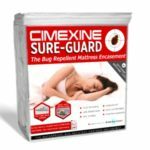 Silky soft, cool, breathable, bed bug proof fully-waterproof Sure-Guard mattress protector that fully encases your mattresses and keeps it pristine. 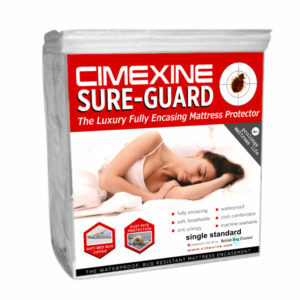 Keeps stains, soilage and odours off the mattress, is allergy-free, and keeps the bugs and dust mites away. Made from high-end, smooth, luxurious and absorbent fabric that is hygienic and comfortable, and features a clever inner-membrane that makes it fully waterproof, meaning that stains and liquids are kept permanently off the mattress, keeping it pristine underneath and significantly extending mattress life. 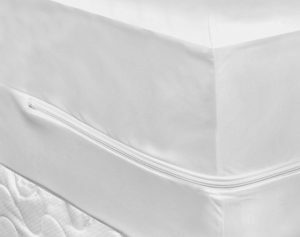 On the outside the encasement is soft to the touch and features no seams or buttons, removing the main harbourage points for bed bugs. The fabric is bite-proof and the zip bug-proof. 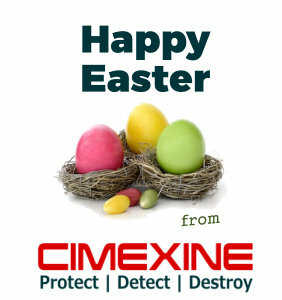 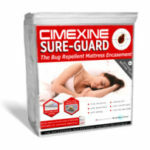 No more throwing mattresses out in the event of an outbreak or accidents. 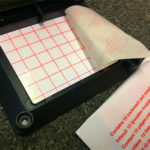 Can be machine washed and tumbled dried without losing any of its features.